Every time you breathe, your body burns the fuel inside your cells and turns it into energy. In turn, this energy runs your cells to create the millions of chemical reactions required to be alive. This mixing of oxygen and fuel to create energy is known as "oxidation". 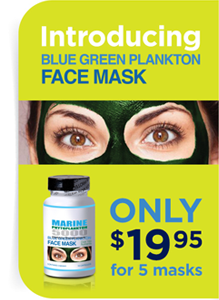 This process of oxidation creates dangerous byproducts known as free radicals. Free radicals are extremely dangerous because they’re like bullies that beat up on other cells and steal their vital electrons. They do this because they are missing an electron as a result of oxidative damage. 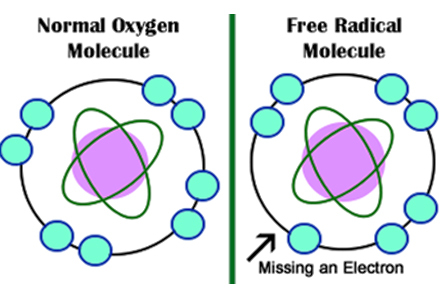 Electrons come in pairs, so free radicals try to stabilize themselves by stealing an electron from another oxygen molecule. Free radicals can cause extensive damage to the body because once they steal another molecules electrons, it too becomes unstable. So this newly unstable molecule now becomes a free radical and attacks nearby cells to steal electrons. The process continues in a chain reaction and can wreak extensive havoc throughout the body. In a healthy person who eats a healthy diet, free radicals remain relatively controlled thanks to a constant supply of antioxidants. 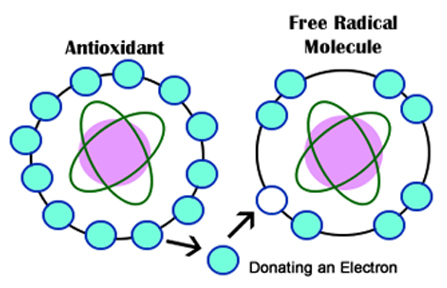 These antioxidants travel throughout the body, donating electrons where needed.  This effort stabilizes free radicals and thwarts eminent free radical attacks to cells. 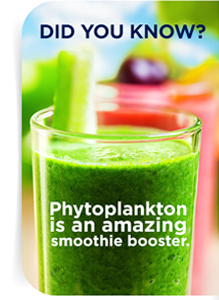 In addition, antioxidants provide nutrients to help damaged cells repair themselves. When the cells are too damaged to repair, the nutrients trigger a cellular suicide, a natural process known as apoptosis. 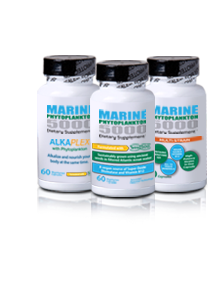 This keeps the body free of mutated cells that may cause further harm and even lead to cancer. So when does oxidative stress become a problem? Much like inflammation, health issues develop when the body becomes overrun by free radicals and can’t keep up with the damage they're inflicting. At this point, the damage is known as oxidative stress. 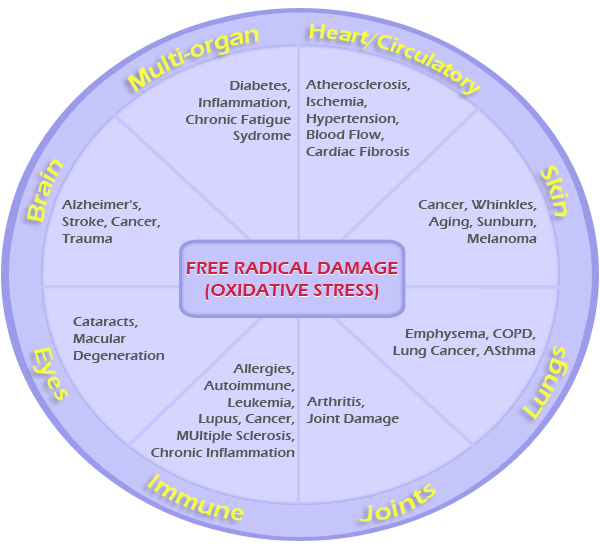 Your body has more oxidative damage than you may think. Air pollution – from car exhaust, smog and other toxic fumes. Smoking – or inhaling second-hand smoke. Radiation – from the sun, tanning lamps, medical x-rays, high-definition electronics, computer screens, etc. Environmental pollutants – including pesticides, petrochemicals, asbestos, industrial plant emissions, etc. Household chemicals – found in cleaners, pesticides, formaldehyde, personal care products, room deodorizers, etc. Alcohol – any amount of alcoholic beverage creates free radicals. Cured meats – nitrates and nitrites used to preserve packaged or cured meats. Food chemicals – preservatives, artificial colorings and flavorings, processed foods, refined sugar, etc. Medications – pharmaceutical drugs, chemotherapy, radiation therapy, x-rays. Stress – both emotional (worry and stress) and physical (over-exercising or injury). Inflammation – causes oxidized cells to rupture and spread more damage throughout the body. With these constant attacks by free radicals, it’s easy to see how the body gets worn down. To see how oxidative stress breaks down our bodies, cut an apple in half and let it sit on the counter with the cut side exposed. Within minutes, you’ll see oxidation begin to turn the apple brown in some spots. The same thing occurs to the cells of the body when oxidative stress is not controlled. That’s oxidation. And this explains how we age. Aging is a slow progression of oxidative stress. The foods we eat, the stress we feel, and the chemicals we expose ourselves to…all speed up this aging process. 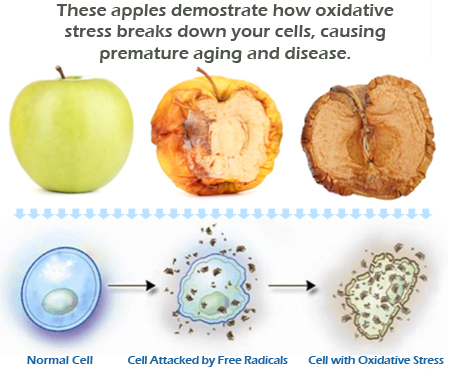 For an idea of how much oxidative stress speeds up aging, take that cut apple and place it out in the sun next to a busy road where the sun beats down on the apple and cars spew their toxic fumes on it all day long. It won’t take long before the apple shrivels, turns black, and rots down to its core. That’s what’s happening to our bodies when we don't take action against free radical damage. The good news is that nature's design is perfect and does provide the materials needed to combat this damage. If it did not, then mankind wouldn’t have existed this long. Nature counters this free radical process by providing antioxidants in our fruits and vegetables. 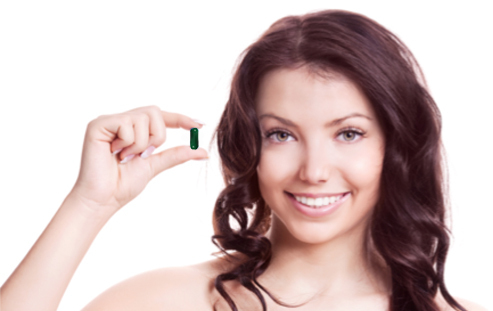 Antioxidants (as the name implies) protect against the oxidative damage caused by free radicals. For extra protection, our bodies also produce two powerful antioxidant enzymes -- catalase and superoxide dismutase (SOD). These antioxidants act as our body’s first line of defense, gobbling up free radicals before they can bully any of the body's cells. Your health starts decaying when your body becomes overrun by free radicals and can’t keep up with the destruction they’re causing. Oxidative stress can lead to inflammation and vice versa.. which can lead to disease and vice versa.. It's a vicious cycle. Whichever part of the body receives the most uncontrolled free radical damage determines what type of disease manifests. For instance, smoking produces enormous amounts of free radicals in the lungs. That’s why smokers are more likely to get asthma, emphysema, COPD, or lung cancer. 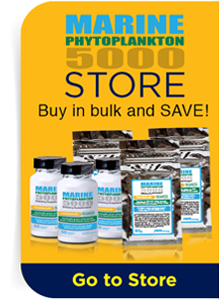 600 quadrillion attacks (600,000,000,000,000,000) a day terrorizing your body and brain! And as if all those attacks aren’t enough, we also produce more free radicals as we age. Do you remember our first line of defense--catalase and SOD? We produce less of those as we age. So due to more free radicals and a weakened defense against them, we’re especially vulnerable as we get older. Unfortunately, eating more fruits and vegetables is no longer good enough. Due to modern farming techniques and over-farming conventionally-grown vegetables and fruits contain less than half the nutrients as those that our grandparents grew. Plus, they're loaded with pesticides and synthetic fertilizers--known sources of free radicals. We still encourage you to eat as many fruits and vegetables as you can, but you simply can’t eat enough to provide the protection you need – not when your cells endure 600 quadrillion attacks a day. Especially at risk is the brain, an organ that utilizes large amounts of oxygen and contains trillions of easily-oxidized lipid molecules. Studies now link oxidative stress to more than 80 degenerative illnesses, including Parkinson’s, multiple sclerosis, depression, diabetes, osteoporosis, liver disease, emphysema and more. Alzheimer’s – When inflammation develops in the brain, it generates high levels of free radicals that help create amyloid plaques associated with Alzheimer’s disease. Then the free radicals generate more inflammation, which in turn creates more free radicals and consequently, more plaques. This kills neurons faster and quickens the spread of the disease. Free radicals oxidize LDL ("bad") cholesterol. Oxidized LDL is very reactive and attacks cells in artery walls. The body responds to these attacks by sending out inflammation. This inflammation triggers a series of reactions leading to formation of atherosclerotic plaque. This starts the free radical/inflammation cycle over again, building up more plaques. Plaques eventually clog arteries, leading to heart attacks, or break off, leading to strokes. Arthritis – Oxidative stress ages the cartilage faster and increases inflammation, which also spreads cell damage faster. Studies have shown that arthritic joints contain only half the amount of antioxidants as is found in healthy joints. Remember: Your body is naturally designed to repair itself – no matter what life throws your way. In order to do this, however, it requires a supply of nutrients. Provide your body with the nutrients it needs, then it will be able to fight off free radical damage and rebuild healthy cells. 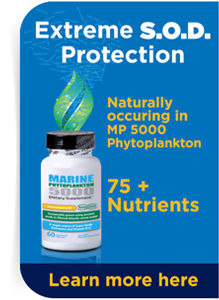 The #1 nutrient for fighting free radical damage & rebuilding healthy cells is the antioxidant enzyme - Superoxide Dismutase (SOD), which is abundantly found in Marine Phytoplankton 5000. Shimizu K, Rajapakse N, Horiguchi T, Payne RM, Busija DW. Neuroprotection against hypoxia-ischemia in neonatal rat brain by novel superoxide dismutase mimetics. Neurosci Lett. 2003 Jul 31;346(1-2):41-4. Shimmura S, Igarashi R, Yaguchi H, Ohashi Y, Shimazaki J, Tsubota K.
Lecithin-bound superoxide dismutase in the treatment of noninfectious corneal ulcers. Am J Ophthalmol. 2003 May;135(5):613-9. An unanticipated benefit of the treatment of preterm infants with CuZn superoxide dismutase. Davis JM, Parad RB, Michele T, Allred E, Price A, Rosenfeld W; North American Recombinant Human CuZnSOD Study Group. Pulmonary outcome at 1 year corrected age in premature infants treated at birth with recombinant human CuZn superoxide dismutase. Yunoki M, Kawauchi M, Ukita N, Sugiura T, Ohmoto T.
Effects of lecithinized superoxide dismutase on neuronal cell loss in CA3 hippocampus after traumatic brain injury in rats. Surg Neurol. 2003 Mar;59(3):156-60; discussion 160-1. Serkedjieva J, Roeva I, Angelova M, Dolashka P, Voelter WG. Combined protective effect of a fungal Cu/Zn-containing superoxide dismutase and rimantadine hydrochloride in experimental murine influenza a virus infection. Therapeutic potential of superoxide dismutase mimetics as therapeutic agents in critical care medicine. Crit Care Med. 2003 Jan;31(1 Suppl):S29-38. Review. Paramonov BA, Churilova IV, Zinov'ev EV, Chebotarev VY. Erysod, erythrocyte superoxide dismutase preparation: effects on LPO processes and morphological changes in the viscera of rats with burns under conditions of delayed antishock infusion therapy. Bull Exp Biol Med. 2002 Dec;134(6):578-82. Churilova IV, Zinov'ev EV, Paramonov BA, Drozdova YI, Sidel'nikov VO, Chebotarev VY. Effect of Erysod (erythrocyte superoxide dismutase) on blood concentration of reactive oxygen species in patients with severe burns and burn shock. Bull Exp Biol Med. 2002 Nov;134(5):454-6. Vorauer-Uhl K, Furnschlief E, Wagner A, Ferko B, Katinger H.
Reepithelialization of experimental scalds effected by topically applied superoxide dismutase: controlled animal studies. Wound Repair Regen. 2002 Nov-Dec;10(6):366-71. Luisa Corvo M, Jorge JC, van't Hof R, Cruz ME, Crommelin DJ, Storm G.
Superoxide dismutase entrapped in long-circulating liposomes: formulation design and therapeutic activity in rat adjuvant arthritis. Biochim Biophys Acta. 2002 Aug 19;1564(1):227-36. Zhang Y, Wang JZ, Wu YJ, Li WG. Anti-inflammatory effect of recombinant human superoxide dismutase in rats and mice and its mechanism. Acta Pharmacol Sin. 2002 May;23(5):439-44. Giardino R, Giavaresi G, Fini M, Torricelli P, Guzzardella GA. The role of different chemical modifications of superoxide dismutase in preventing a prolonged muscular ischemia/ reperfusion injury. Artif Cells Blood Substit Immobil Biotechnol. 2002 May;30(3):189-98. Bone HG, Sakurai H, Schenarts PJ, Traber LD, Traber DL. Effects of manganese superoxide dismutase, when given after inhalation injury has been established. Crit Care Med. 2002 Apr;30(4):856-60. Role of oxidant injury in the pathogenesis of neonatal lung disease. Acta Paediatr Suppl. 2002;91(437):23-5. Review. Ivanova E, Angelova M, Slokoska L, Pashova S, Toshkova R, Dolashka-Angelova P, Dimitrova P, Voelter W.
Effect of Cu/Zn-superoxide dismutase from the fungal strain Humicola lutea 103 on antioxidant defense of Graffi tumor-bearing hamsters. Z Naturforsch [C]. 2002 Jan-Feb;57(1-2):197-204. Nishikawa M, Nagatomi H, Nishijima M, Ohira G, Chang BJ, Sato E, Inoue M.
Targeting superoxide dismutase to renal proximal tubule cells inhibits nephrotoxicity of cisplatin and increases the survival of cancer-bearing mice. Cancer Lett. 2001 Oct 10;171(2):133-8. Steinhorn RH, Albert G, Swartz DD, Russell JA, Levine CR, Davis JM. Recombinant human superoxide dismutase enhances the effect of inhaled nitric oxide in persistent pulmonary hypertension. Am J Respir Crit Care Med. 2001 Sep 1;164(5):834-9. Riedl CR, Plas E, Vorauer K, Vcelar B, Wagner A, Pfluger H.
Pilot study on liposomal recombinant human superoxide dismutase for the treatment of Peyronie's disease. Eur Urol. 2001 Sep;40(3):343-8; discussion 348-9. Review. Yabe Y, Kobayashi N, Nishihashi T, Takahashi R, Nishikawa M, Takakura Y, Hashida M.
Prevention of neutrophil-mediated hepatic ischemia/reperfusion injury by superoxide dismutase and catalase derivatives. J Pharmacol Exp Ther. 2001 Sep;298(3):894-9. Epperly MW, Kagan VE, Sikora CA, Gretton JE, Defilippi SJ, Bar-Sagi D, Greenberger JS. Manganese superoxide dismutase-plasmid/liposome (MnSOD-PL) administration protects mice from esophagitis associated with fractionated radiation. Int J Cancer. 2001 Aug 20;96(4):221-31. Hangaishi M, Nakajima H, Taguchi J, Igarashi R, Hoshino J, Kurokawa K, Kimura S, Nagai R, Ohno M.
Lecithinized Cu, Zn-superoxide dismutase limits the infarct size following ischemia-reperfusion injury in rat hearts in vivo. Biochem Biophys Res Commun. 2001 Aug 3;285(5):1220-5. Prophylactic effects of recombinant human superoxide dismutase in neonatal lung injury induced by the intratracheal instillation of endotoxin in piglets. Topically applied liposome encapsulated superoxide dismutase reduces postburn wound size and edema formation. Eur J Pharm Sci. 2001 Aug;14(1):63-7. Kanamasa K, Ishida N, Ishikawa K.
Protective effect of PEG-SOD against early coronary reperfusion injury assessed in reperfused and non-reperfused ischaemic areas of the same heart. Zanetti M, Sato J, Katusic ZS, O'Brien T.
Gene transfer of superoxide dismutase isoforms reverses endothelial dysfunction in diabetic rabbit aorta. Am J Physiol Heart Circ Physiol. 2001 Jun;280(6):H2516-23. Trends Biochem Sci. 2001 May;26(5):283. Zhong Z, Connor HD, Yin M, Wheeler MD, Mason RP, Thurman RG. Viral delivery of superoxide dismutase gene reduces cyclosporine A-induced nephrotoxicity. Targeting of superoxide dismutase and catalase to vascular endothelium. J Control Release. 2001 Mar 12;71(1):1-21. Review. Nishikawa M, Nagatomi H, Chang BJ, Sato E, Inoue M.
Targeting superoxide dismutase to renal proximal tubule cells inhibits mitochondrial injury and renal dysfunction inuduced by cisplatin. Arch Biochem Biophys. 2001 Mar 1;387(1):78-84. The anti-inflammatory effects of human recombinant copper-zinc superoxide dismutase on pulp inflammation. Delivery of antioxidant enzyme proteins to the lung. Antioxid Redox Signal. 2001 Feb;3(1):39-62. Review. Petelin M, Pavlica Z, Ivanusa T, Sentjurc M, Skaleric U. Local delivery of liposome-encapsulated superoxide dismutase and catalase suppress periodontal inflammation in beagles. J Clin Periodontol. 2000 Dec;27(12):918-25. Udipi K, Ornberg RL, Thurmond KB 2nd, Settle SL, Forster D, Riley D.
Modification of inflammatory response to implanted biomedical materials in vivo by surface bound superoxide dismutase mimics. J Biomed Mater Res. 2000 Sep 15;51(4):549-60. Nagler RM, Reznick AZ, Slavin S, Nagler A. Partial protection of rat parotid glands from irradiation-induced hyposalivation by manganese superoxide dismutase. Arch Oral Biol. 2000 Sep;45(9):741-7. Dimitrova PA, Toshkova RA, Ivanova EH, Stefanova ZH, Angelova MB, Dolashka PA, Voelter W.
Superoxide production by phagocytes in myeloid Graffi tumor-bearing hamsters. Z Naturforsch [C]. 2000 Sep-Oct;55(9-10):799-805. Ratcheva I, Stefanova Z, Vesselinova A, Nikolova S, Kujumdjieva A, Neychev H.
Treatment of adjuvant arthritis in mice with yeast superoxide dismutase. Kojima K, Matsui K, Nagase M.
Protection of alpha(3) integrin-mediated podocyte shape by superoxide dismutase in the puromycin aminonucleoside nephrosis rat. Am J Kidney Dis. 2000 Jun;35(6):1175-85. Vemulapalli R, He Y, Cravero S, Sriranganathan N, Boyle SM, Schurig GG. Overexpression of protective antigen as a novel approach to enhance vaccine efficacy of Brucella abortus strain RB51. Davis JM, Richter SE, Biswas S, Rosenfeld WN, Parton L, Gewolb IH, Parad R, Carlo W, Couser RJ, Baumgart S, Atluru V, Salerno L, Kassem N.
Long-term follow-up of premature infants treated with prophylactic, intratracheal recombinant human CuZn superoxide dismutase. Garcia-Gonzalez A, Morales-Hernandez RC, Porta-Gandara MA, Rubio-Cerda E, Ochoa JL. Superoxide dismutase and Naproxen in the very late phase of carrageenan induced edema in rats. Rev Invest Clin. 2000 Mar-Apr;52(2):156-60. Swart PJ, Hirano T, Kuipers ME, Ito Y, Smit C, Hashida M, Nishikawa M, Beljaars L, Meijer DK, Poelstra K.
Targeting of superoxide dismutase to the liver results in anti-inflammatory effects in rats with fibrotic livers. Rios L, Cluzel J, Vennat JC, Menerath JM, Doly M.
Comparison of intraocular treatment of DMTU and SOD following retinal ischemia in rats. J Ocul Pharmacol Ther. 1999 Dec;15(6):547-56. Maksimenko AV, Tischenko EG, Golubykh VL. Antithrombotic activity of the superoxide dismutase-chondroitin sulfate complexes in a rat model of arterial injury. Cardiovasc Drugs Ther. 1999 Nov;13(6):479-84. Nishikawa M, Igarashi R, Nakazawa T, Aikawa E.
Rescue of (NZB x NZW) F1 mice from oxygen-derived free radical injury by use of phosphatidylcholine-modified superoxide dismutase. Lab Anim Sci. 1999 Oct;49(5):560-4. Yavuz Y, Yuksel M, Yegen BC, Alican I. The effect of antioxidant therapy on colonic inflammation in the rat. Res Exp Med (Berl). 1999 Oct;199(2):101-10. Corvo ML, Boerman OC, Oyen WJ, Van Bloois L, Cruz ME, Crommelin DJ, Storm G.
Intravenous administration of superoxide dismutase entrapped in long circulating liposomes. II. In vivo fate in a rat model of adjuvant arthritis. Biochim Biophys Acta. 1999 Jul 15;1419(2):325-34. Kondo T, Terajima H, Todoroki T, Hirano T, Ito Y, Usia T, Messmer K.
Prevention of hepatic ischemia-reperfusion injury by SOD-DIVEMA conjugate. J Surg Res. 1999 Jul;85(1):26-36. Anti-inflammatory activity of Debaryomyces hansenii Cu,Zn-SOD. Arch Med Res. 1999 Jan-Feb;30(1):69-73. Nguyen WD, Kim DH, Alam HB, Provido HS, Kirkpatrick JR.
Polyethylene glycol-superoxide dismutase inhibits lipid peroxidation in hepatic ischemia/reperfusion injury. Crit Care. 1999;3(5):127-30. Epub 1999 Sep 23. Superoxide dismutase: a role in the prevention of chronic lung disease. Biol Neonate. 1998 Sep;74 Suppl 1:29-34. Review. 52: Lamproglou I, Magdelenat H, Boisserie G, Baillet F, Mayo W, Fessi H, Puisieux F, Perderau B, Colas-Linhart N, Delattre JY. An experimental model of acute encephalopathy after total body irradiation in the rat: effect of liposome-entrapped Cu/Zn superoxide dismutase. Int J Radiat Oncol Biol Phys. 1998 Aug 1;42(1):179-84. Li X, Wang LJ, Tang N, Yue H, Huang Y, Lu J, Wang B. Effects of isovolumetric hemodilution treatment and superoxide dismutase on ischemic reperfused hearts in rabbit. Clin Hemorheol Microcirc. 1998 Jul;18(2-3):157-63. Polyhemoglobin-superoxide dismutase-catalase as a blood substitute with antioxidant properties. 55: Maksimenko AV, Tishchenko EG, Golubykh VL. Vopr Med Khim. 1998 Jul-Aug;44(4):353-61. Russian. Das S, Horowitz S, Robbins CG, el-Sabban ME, Sahgal N, Davis JM. Intracellular uptake of recombinant superoxide dismutase after intratracheal administration. Am J Physiol. 1998 May;274(5 Pt 1):L673-7. Ambrosio G, Zweier JL, Becker LC. Apoptosis is prevented by administration of superoxide dismutase in dogs with reperfused myocardial infarction. Basic Res Cardiol. 1998 Apr;93(2):94-6. Miyahara T, Shibamoto T, Wang HG, Koizumi T, Honda T, Kubo K, Sekiguchi M, Koyama S.
Lecithinized superoxide dismutase attenuates phorbol myristate acetate-induced injury in isolated dog lung. Eur J Pharmacol. 1998 Mar 5;344(2-3):231-9. Tu Q, Tang J, Shen L, Lei Y, Yu S, Zhou J, He J, Chen C, Zhang F, Zhang F, Dong F, Peng H, Tan H.
Hunan Yi Ke Da Xue Xue Bao. 1998;23(3):308-10. Chinese. Baker K, Marcus CB, Huffman K, Kruk H, Malfroy B, Doctrow SR. Synthetic combined superoxide dismutase/catalase mimetics are protective as a delayed treatment in a rat stroke model: a key role for reactive oxygen species in ischemic brain injury. J Pharmacol Exp Ther. 1998 Jan;284(1):215-21. Med Tr Prom Ekol. 1998;(10):17-21. Russian.